A Chinese power tool manufacturer is moving its North American headquarters to Naperville from Michigan, taking over an empty new building developed for a Swedish manufacturer. 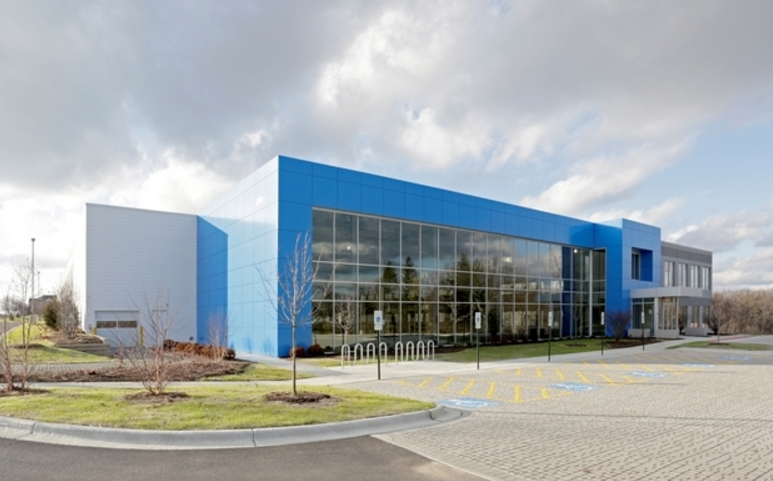 Grand Rapids, Mich.-based Chervon North America has subleased a 124,000-square-foot building at 1203 E. Warrenville Road, according to people familiar with the deal. The company is the North American arm of Nanjing, China-based Chervon Holdings. The company plans to bring more than 200 jobs over the next three years. It will relocate 75 workers from Grand Rapids and the Chicago suburbs of South Barrington and Geneva. Also moving there will be 37 employees who were added when Chervon completed its acquisition of Mount Prospect-based Robert Bosch Tools’ Skil and Skilsaw brands on January 1. The company also plans to hire 25 new workers this year and another 75 over the next three years. The Naperville building along Interstate 88 was developed for Swedish manufacturer SKF Group, which planned to have offices and research and development there. Gothenburg, Sweden-based SKF signed a 15-year lease with suburban developers Daniel Murphy and William Krug but decided not to move there in 2015. Instead, SKF sought a tenant to sublease the building. Murphy confirmed that Chervon is taking over the SKF space but otherwise declined to comment. The Chervon deal is good news for the west suburban economy, bringing jobs to Naperville and filling one of several big empty spaces in the area. Though the suburban Chicago office market is as strong as it has been in at least 15 years, the former OfficeMax headquarters in Naperville is empty, and ConAgra recently vacated another Naperville office building when it moved its headquarters downtown. In nearby Lisle, Navistar International is seeking a tenant to lease at least half of its campus along Interstate 88. It is not known how many people Chervon will employ in the Naperville building, or when it will move in. Chervon is expected to use the facility for offices and product development. Chervon representatives did not respond to requests for comment. SKF declined to comment through one of its brokers on the sublease, Cushman & Wakefield Senior Director Bruce Hopple. Another Cushman & Wakefield broker, Executive Director Lou Hall, represented Chervon in the deal. Workers from several Chicago suburbs and from the current Grand Rapids headquarters are expected to move to the Naperville building, which will become the firm’s new North American headquarters, according to the people familiar with the lease. Chervon makes power tools such as saws and drills, many of which are battery powered, with brand names including Ego and Hammerhead. It also makes outdoor equipment such as lawn mowers, blowers, trimmers and chain saws. Last year, Chervon bought the Skil tool brand from Mount Prospect-based Robert Bosch Tool. It looks like Illinois is back in the business of offering Edge tax credits to companies that expand in the state. But that may not be the case for long. In a mini-breakthrough in warring Springfield, both the House and Senate today signed off by wide bipartisan votes on legislation to allow the state to offer Edge credits to qualifying employers until April 30. Authority to offer such incentives had automatically sunsetted Jan. 1, caught amid the continuous battles in the capital over terms for adopting a fiscal 2018 state budget and fully funding all programs this year. Both Democrats and Republicans say they want changes in the Edge program, the state’s largest and, by many accounts, most effective tool in getting companies to move and expand here. 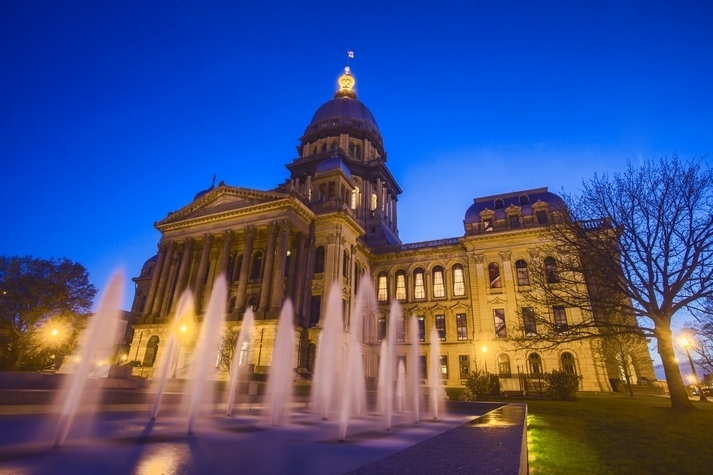 For instance, Sen. Pam Althoff, R-Crystal Lake, and Melissa Bush, D-Grayslake, are sponsoring legislation to cut the size of Edge incentives and limit them to net versus retained positions. Of course, putting off the decision until April 30 puts one more item on the table for House Speaker Mike Madigan and Rauner to fight about this spring. For what it’s worth, all four legislative leaders—Senate President John Cullerton, Senate GOP Leader Christine Radogno, House Speaker Madigan and GOP House Leader Jim Durkin—voted for today’s action. When people run for public office, they always promise to make government more efficient and less expensive. Republican or Democrat, they say it every single time. Then, if they win, they hope you forget they ever said it. Who? Me? Making government more efficient and less expensive means stepping on toes. The abstract becomes specific. Jobs must be cut, budgets cut and fiefdoms wiped out. Most politicians, once elected, hate to step on toes. 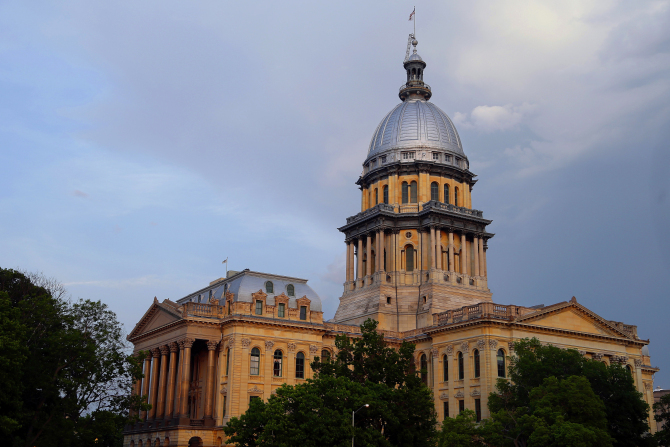 Nobody should be surprised, then, that a plan hatched last summer to push the consolidation of redundant local government units, which is a particularly expensive problem in Illinois, is going nowhere. And it will continue to go nowhere unless the more principled elected officials and the public demand otherwise. In July, Gov. Bruce Rauner signed a bill passed in the Legislature with bipartisan support that requires every county board in Illinois to submit a report listing redundant units of local of government that could be dissolved or consolidated. Maybe, for example, there are two road districts where one would do. Or there’s a fire protection district that exists only on paper because they contract to get service from a nearby town. The county reports don’t require them to consolidate anything; it’s just a way to get everyone focused on the possibilities. The deadline for those reports is Jan. 1. But as of last week, according to the bill’s Senate sponsor, Tom Cullerton, the only county that had filed a report was his own, DuPage. Maybe everybody else has been so bogged down with government waste and inefficiency, given all those dinky and pointless units of government, that they haven’t had time to comply with the state law. A few days remain for a flurry of last-minute filing. Go to it, everybody. The opportunities to save taxpayers money are real and substantial. Illinois has nearly 7,000 units of local government, far more than any other state. Our state has elected township assessors who don’t assess, local highway departments that have almost no highways and cemetery or water districts that you’d be shock to learn even exist. In Elgin, some residents are taxed by 16 different local government units. Maybe we need another unit of government to hire accountants to help the poor people of Elgin figure out their tax bills. Who knew, for example, that just outside Naperville for decades was the Century Hill Street Lighting District, which raised $17,000 a year in taxes to operate 77 streetlights? In June, the DuPage County Board dissolved it, turning over the assets and responsibilities to the county’s Division of Transportation, which should be able to do the job just fine — for less money. DuPage officials say they’ve saved about $80 million over three years by getting local governmental units to share services. They’re also considering merging the DuPage Election Commission with the office of county clerk. In Cook County, voters decided on Nov. 8 to merge the recorder of deeds office into the county clerk’s office. In 2014, voters decided to dissolve Evanston Township, which had exactly the same borders as the City of Evanston. We understand that taxpayers in some local government districts are happy with what they are getting and don’t mind paying for it. They might not want a consolidated park district, for example, if that mean a cut in services. But myriad opportunities for consolidation and financial savings remain, without a reduction in service, among overlapping districts for mosquito-abatement, transit, schools, parks, libraries, waste-disposal, drainage, hospitals, fire protection, townships, municipalities, airports, lighting and sanitation. Voters like the idea. In November, advisory referendums on consolidation passed in seven DuPage townships and one municipality. All it takes is a willingness to step on toes.